Private Equity and M&A Insurance Services. After starting the M&A Practice at Marsh and then starting and running the AMAG operation globally for Aon as a member of the Worldwide Retail Board as Vice Chairman in New York. As founder of Krauter & Co. with 10 offices in the US, he has serviced 1,000’s of transactions. 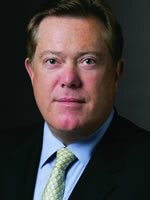 His specialties are transactional products, due diligence, portfolio programs and management liability (D&O/GPL).